In 1999, we formed the Hallam-ICS Giving Tree Committee whose mission reflects and supports the nature of Hallam-ICS employees by giving time, money, and materials. The Hallam-ICS Giving Tree Committee primarily supports efforts undertaken on the behalf of children, age birth to eighteen years. Areas of our involvement include those programs that nurture children's interests and efforts in environmental conservation, programs that directly benefit a child, or children, (excluding annual class trips) by promoting health and wellness and personal growth, or programs that provide emergency aid. Our company founder and inspirational leader, David Hallam, saw social responsibility as a cornerstone of our company mission, understanding the value of giving back to the communities in which we live and work. In 2013 we established the “Hallam-ICS Award for Community Service” in honor of Dave Hallam. 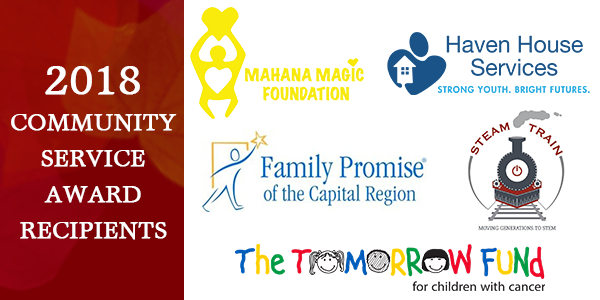 Each year we select one charitable organization from each of the regions that are home to our employees and our clients. These organizations, through their direct actions, provide positive influence within our communities and exemplify the virtues of social responsibility. 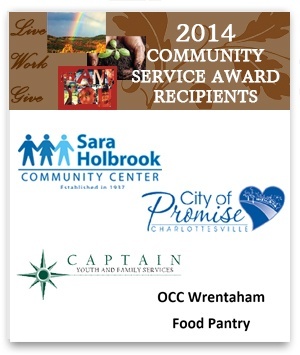 We present these organization with our Award for Community Service to recognize, support and encourage their ongoing commitment to improving the lives of others in our communities. The Hallam-ICS Service Day is an annual event when employees from all of our offices come together, along with their guests to perform community service for a day. The Hallam-ICS Service Day is a part of our company’s social mission and a way to be an active part of the communities where we live and work. Hallam-ICS completed our journey to become 100% Employee Owned in 2015. We firmly believe that every employee contributes to the success of Hallam-ICS and therefore every employee should own a portion of our company to share in the wealth created by their efforts.